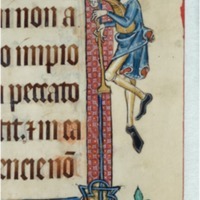 This grotesque figure is positioned in the upper right margin of a medieval manuscript. The pointed tips of his black shoes would have been highly fashionable in the fourteenth century when the manuscript was made. 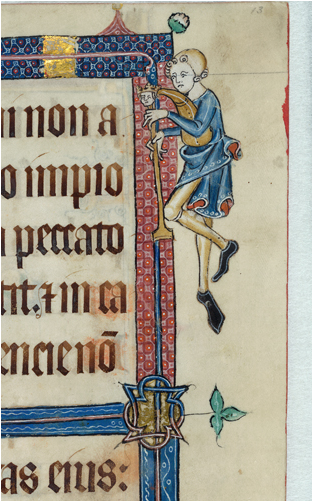 “The Shoes of a Grotesque Figure from the Luttrell Psalter (from The British Library, MS 42130 f. 13),” Medieval London, accessed April 22, 2019, http://medievallondon.ace.fordham.edu/items/show/88.